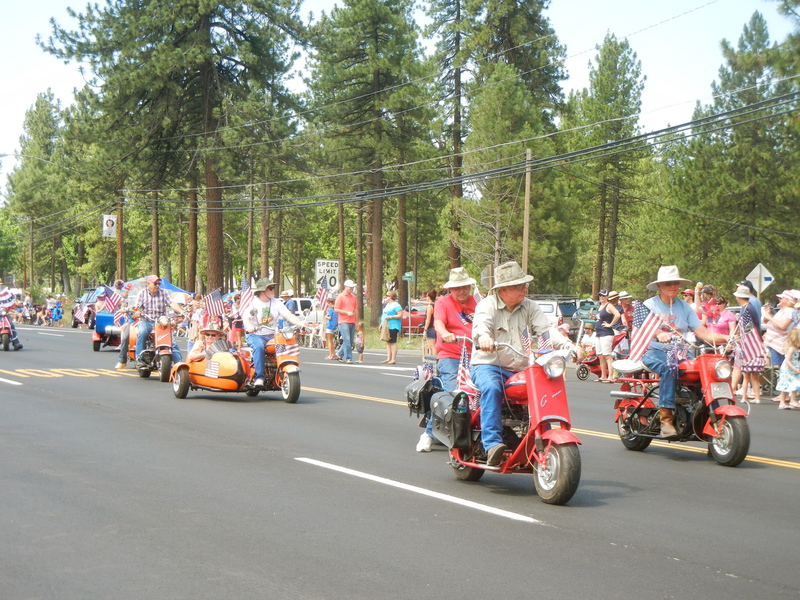 I didn’t intend to attend a small town 4th of July celebration. After solo camping at Juniper Lake in Lassen Volcanic National Park, I could’ve only hoped for a coffee shop to be open on the holiday as I travelled from Lassen down to Quincy for the High Sierra Music Festival. Thankfully, I found so much more than coffee. 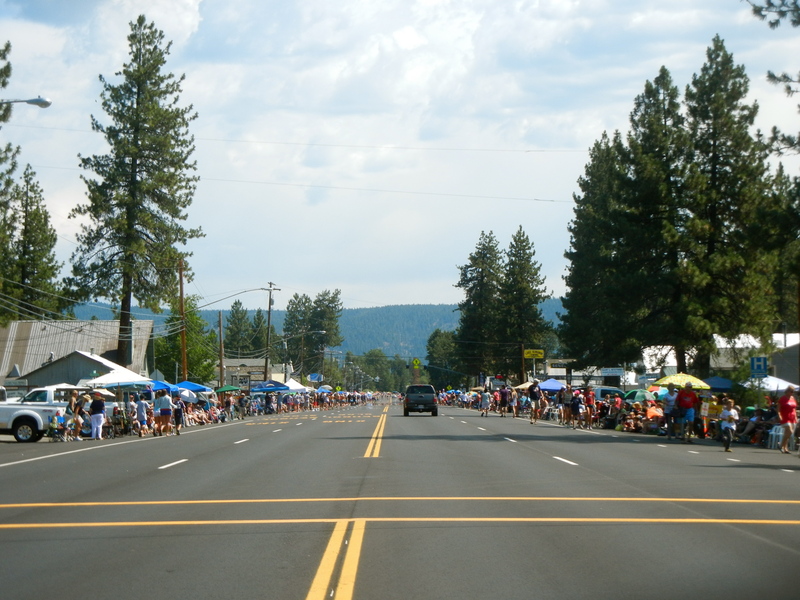 While enjoying a pre-parade Bloody Mary at the local tavern, I spoke to a man who grew up in Plumas County and currently resides in Sacramento. There, he works in office furniture installation, but he aspires to work in sports management. Using my girly charms, I learned that being a high school student in Plumas County is not so different than being a high school student anywhere else- you spend most of your time blaming all your problems on geography and then you grow up to realize that home isn’t half bad. 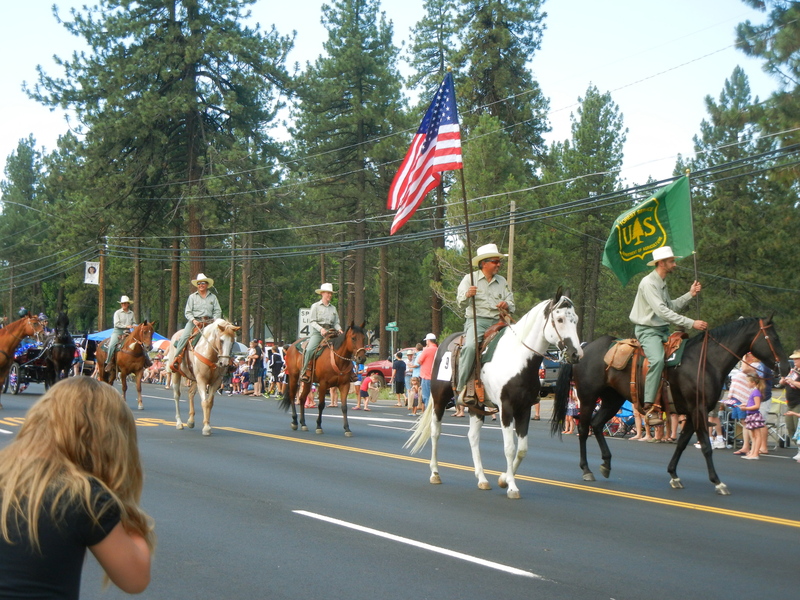 I also learned that the two largest employers in Plumas are the US Forest Service and the local mill. My back hurt from so many nights sleeping on the ground, so I hung in a forward fold (uttanasana) in the street before the parade began. An older woman came over to me and said, “That looks like it feels good. What are you doing?” As an over-eager recently certified yoga instructor, I aided her into the low back release. It is fair to say that she was at-risk for Type 2 diabetes, but she informed me that she had recently started going to Curves and she was enjoying feeling in control of her body again. As she rose from her forward fold, I noticed she was wearing a Tea Party tee-shirt. This is when I was reminded that being an American is complicated. We can’t agree if government is responsible for our health or our education or our privacy, but we do believe in freedom. I guess we also mostly believe that day drinking, abiding by a certain color scheme, listening to a certain classic rock genre, and putting our karate educated youth on display is an appropriate way to celebrate that freedom. As I waited for the parade to begin (can you tell there was a lot of waiting for the parade? People put their lawn chairs out before I rode through town at 7 AM, the parade began at 11 AM, and it lasted for about 30 minutes. The wait-time to parade-time ratio was significant), a man offered me his spare lawn chair. He was probably a Tea Party member as well, but it didn’t matter if he was red and I was blue, or green, or none of the above because we were able to be grateful to be American, together. We also worked as a team to collect candy thrown by parade participants for his grandchild like it was a patriotic Halloween.